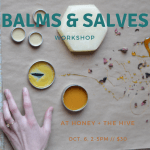 This Fall in the Hive! 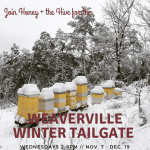 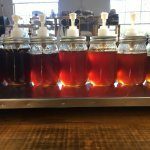 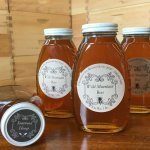 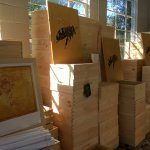 Honey and the Hive is a locally owned beekeeping supply store located in downtown Weaverville. 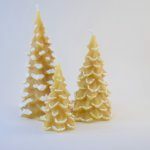 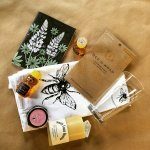 We’ve expanded our offerings, with an extensive gift boutique, featuring a variety of handmade beeswax candles as well as pure local beeswax, a selection of books, t-shirts, kitchen goods, and more. 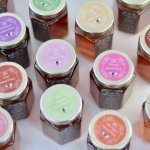 We also offer assorted raw honeys, propolis and bee-pollen. 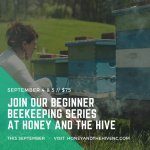 In the spring, you can expect live bees, locally sourced when possible, as well as an extensive line of beekeeping supplies, and hands-on beekeeping workshops throughout the year, as well as many DIY classes for beekeepers and non-beekeepers alike.